Europe has always been known as a land rich in beautiful scenery and as a famous world re-known ultimate destination for any fun-loving individual. Though, Croatia, a small country hosting more than 1500 islands has been hidden for quite a long time. Thanks to the great appreciation given to its amazingly attractive and pristine scenery and features, it has now started rising to its rightful position. This beautiful country hosts quite a number of hidden gems whose worth and importance is yet to be known all over the world and its potential fully tapped. This article will give you a comprehensive guide to the most intricate parts of Croatia. The unique scenery offered by the Plitvice Lakes is a sight to behold. Its natural and pristine beauty has it added to the list of the most beautiful naturally occurring tourist attractions in Europe. It consists of 16 interlinked lakes that have been surrounded by a complex forest. Unlike most marine national parks, it is not found on the coasts of Croatia. It is located between 3 mountains; Mala Kapela, Pljesevica and Medvedak. 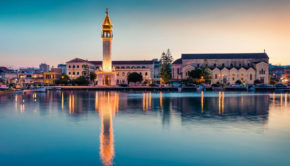 Though this makes it seem too hard to access, this exciting park can be accessed by bus from Zadar, Zagreb and Split which can be easily reached via their respective airports. Though, you will have to wait for some time for these buses as they do not operate on a fixed schedule. There are also private buses and taxis plying the Zadar-Plitvice route and should be booked beforehand. 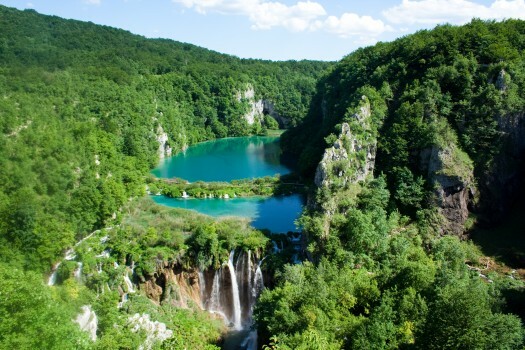 Your hotel or tourist agency may also arrange a day trip to the Plitvice Lakes national park. After enjoying this approximately 2 hour long journey, you’ll be ready to grab a ticket at any of the entrances of the park and head into this park to enjoy the thrill and fun observing the flora and fauna and other amazing features. 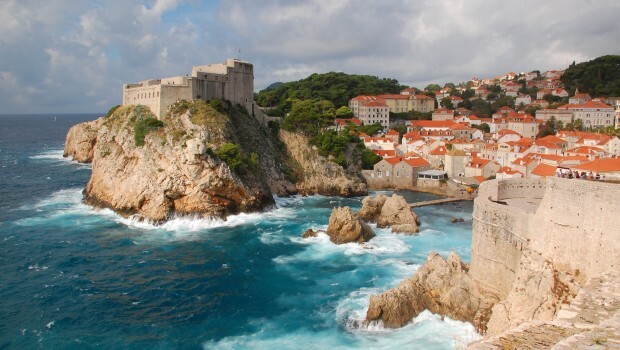 Also referred to as the Pearl of the Adriatic, Dubrovnik is a historical ancient walled city. Some of its walls have passed the test of time and remained intact making this city a great Croatian tourist destination. It was listed as the UNESCO World Heritage site in 1979. It is located at the southern part of Croatia and can be easily accessed by plane with its landing being at the Dubrovnik airport. It can also be accessed by train from Split, Sarajevo and Mostar but since the closest rail station is located at Ploce, you can get a bus from there to Dubrovnik city. With numerous interlinking roads, this city is best accessed by road either by bus or car. You may also choose to use cruise ships, ferries or charter a boat for an unlimited and more exciting experience. You can read more about Dubrovnik in one of our previous article about the Dubrovnik Summer Festival. 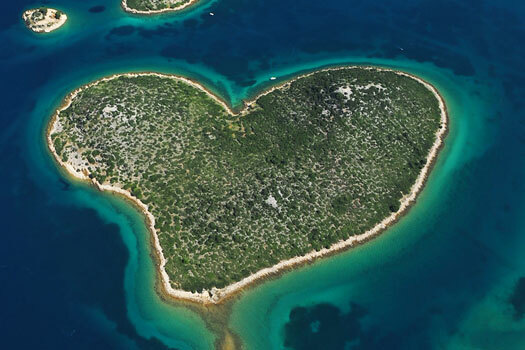 Ever heard of Croatia’s Island of Love? 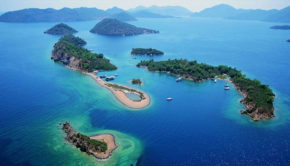 This is the Galesnjak Island, the hidden gem that prides itself of the “world’s most perfect heart-shaped naturally occurring feature” title earning it the name “Island of Love”. This deserted and pristine island is located in the Adriatic Sea between the Pasman Island and Zadar. It is privately owned and due to its original nature, it has become a tourist hot spot for couples seeking some quiet and romantic time, for picnics, camps and excursions. Since this island has no airport, it is best accessed by water. You can book a cruise organized by different hotels or rent a boat from one of the charters in Croatia, like Charter Orvas, to visit this amazing island. 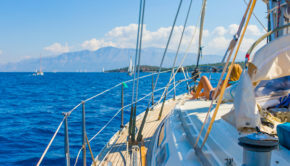 Once there, you are free to swim, sail, camp, pop your champagne, hike, sun bathe on the beautiful beaches, watch the azure waters of the Adriatic and the sail boats and also observe the various animals. Just like its name suggests, the Blue Cave otherwise known as the Blue Grotto is a sea cave that glows blue at certain times of the day. This cave is water-logged and is located in Balun, a small bay east of Bisevo Island in the Adriatic. From Split, get to the Vis Island by Croatia ferries and then, by bus or motorbike get to Komiza, a small fishing town. From here you can hire a boat or a tour to Bisevo. At this point, it is easy to get to the Blue Cave by a rubber raft. Initially, this cave was accessible only by diving via a natural opening that is below sea level. It is not until 1884 that another entrance was built to act as an entrance for boats. The best time to visit this cave is between 11 am to 12 noon as this is when the sunshine is brightest, easily penetrating the waters, then through the natural entrance and into the cave, making the cave to glow blue with objects inside the water being reflected as silver objects on the walls of this cave. 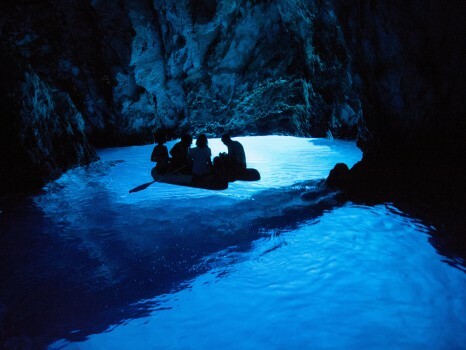 It is utter coincidence that both the Zelena Spilja also referred to as the Green Cave and the Blue Grotto are located on the same island, Vis. With the same phenomenon as the Blue Grotto, this cave glows emerald green thus the name Green cave. Most tourists love to visit this cave after visiting the Blue Cave. It can be accessed from Komiza by a hired boat or tour and just like its blue counterpart, it is a great and amazing place to explore. Croatia tops the list of those amazing places that are untouched by a lot of human activity. Its naturally existing sceneries are what make Croatia stand out from the other European countries. The historical towns, the isolated and deserted nature of most of its islands that offer the much needed privacy, peace, quietness and serenity and the peaceful azure waters of the Adriatic will remain great places to visit in Croatia. Grab your exploration kit and dress for the weather. With some money and a map in hand, you are ready to rock these exciting and thrilling sites. Romeo Hello! 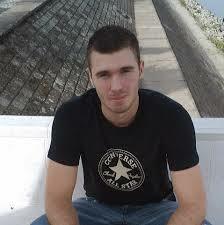 My name is Romeo and I`m a passionate writer and traveler from Europe. I use every chance I get to travel around the world with friends and family. Experiencing new places and cultures, meeting new people and getting away from the daily routine - that`s what every traveler is living for. I live each day to the fullest and my biggest dream is to see every amazing place our beautiful Earth has to offer.